When large trees fall down you can either ignore them, chop them up or make use of them. This was the first of two such natural bridges in this section and by far the longest. 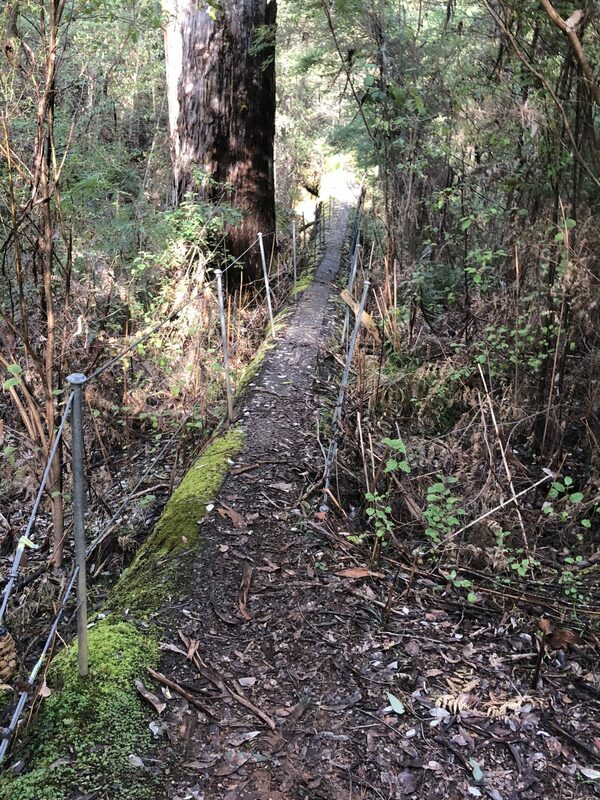 The tree has been turned into a bridge with the addition of hand rails and a scored surface to prevent slippage – it added a bit of variety to the constructed bridges on the trail.